Famous for its smokey aroma and tar flavour, our Lapsang Souchong is a black tea from the Fujian province of China. The finished tea is given some extra drying over smoking pine fire, imparting a sweet, clean smoky flavour to the tea. 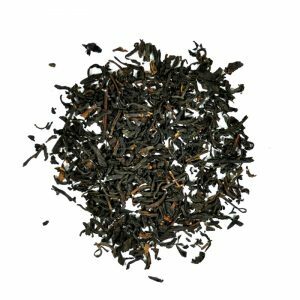 Our Lapsang Souchong is clean and slightly cool smokiness in the aroma, like menthol. Sweet, refreshing smoky flavour, crisp and edgy. Golden-coppery colour in the cup; the mark of a Lapsang that hasn’t been smoked to a jerky. Sweet pine flavour, lightly evaporating finish. It’s amazing all the dimensions of ‘smoky’ you can experience in one, very well made cup of fine Lapsang Souchong.